Synopsis: Two boys from Austin, TX–Ewan and Colby–both end up in up in the Limestone Kingdom, a magical realm filled with fairies, demons, and all things supernatural. Ewan was stolen by a fairy as a baby. Colby stumbled upon the Limestone Kingdom with the help of a djinn (genie). After narrowly escaping death within the walls of the Limestone Kingdom, Ewan and Colby return to Austin. The novel follows the boys years later as they both struggle to deal with the consequences of their actions as children and are forced to fight the ultimate battle against the Kingdom’s most sinister creatures in search of long-overdue revenge. I am not a huge fantasy reader. In fact, this novel is probably my first true fantasy novel. Despite seeing mixed reviews on the book, something drew me to it. And I’m glad it did. I found it fascinating, start to finish. It’s dark, gritty, sinister, relentless, and horribly pessimistic. It reminded me of Game of Thrones in that any character at any time is at risk of being axed. Even the ones you love. Even the ones you’re rooting for. The characters are all perfectly flawed, making them feel honest and believable. Cursed genies. Drunken angels. Killer mermaids. Fairies who feed on others’ suffering. A young boy who asks for the wrong wish (twice). And a whole world of supernatural beings who will sacrifice their own young just to survive. The humans are just as flawed as the fantasy creatures. The villains, just as flawed as the anti-heroes. I found the ideas fresh, imaginative, and unexpected. I loved exploring fairies and genies and trolls and angels and mermaids from a new, exquisitely dark perspective. The quick-paced plot was packed with relevant, tense events all leading up to a superb climatic final battle. It’s a story line worthy of the big screen; I hope I have the chance to see it there one day. In addition to an excellent plot, the strong writing was at times poetic and often profound. Despite the unreal world it creates, Dreams and Shadows touches on some very real themes: fate, vengeance, internal demons, and legacies. Although I’m not big on books in a series, Cargill’s next novel, Queen of Dark Things, features at least one of the characters who manages to survive the horrific events of Dreams and Shadows. And I may just have to read it too. Who should read this book: Fantasy book lovers. And not teenie-bopper vampire fantasies, either. But dark, dramatic, depressing fantasy lovers. Anyone who loves epic battles and underdogs and imaginative worlds that are even bleaker than our own. Those looking for a happy ending need not apply. Synopsis: The life of Sheila Gower, a disinterested high school student by day and gas-station attendant by night, is forever changed when she’s willingly kidnapped by taxi driver, Seth Novak. Still struggling with the childhood loss of his older brother, Novak is tormented by dreams of others dying. When one dream of a man’s suicide begins to repeat itself night-after-night, he “kidnaps” Sheila and sets off to Chicago to try to stop it. The novel follows the young couple – living under the comic-book aliases of Peter Parker and Gwen Stacy – as they evade the police, fall in love, and try to save a stranger’s life in the Windy City. Opinion: As much as I hate to say it, this book fell flat for me. I liked the premise. I liked the Spiderman angle. But somehow, something missed the mark. For starters, even though there was action happening throughout the novel, I felt like the plot wasn’t going anywhere. It was more like sequence of events instead of actions with consequences that build on one another. And somehow, the central story line – going to Chicago to prevent a suicide – seemed to get swept to the side for about two-thirds of the novel. As early as fifty pages in, I had no desire to pick this one up and continue reading. It just didn’t interest me enough and I didn’t really care what happened next. Although the plot did gain momentum in the last 75 pages, the ending still felt lack-luster. Perhaps part of the issue was in character development. As I read, I felt the main characters were both constantly doing or saying things that seemed weird. Maybe that’s because the characters weren’t clearly drawn from the beginning. I didn’t have a clear picture of who Sheila was, so when she would, for example, have explosive emotions and fits of anger, I was confused. And because I felt like I didn’t know her or understand her, I ended up detached from the story as a whole. Outside of the plot and character development, I didn’t find the writing particularly moving, which can sometimes win me over regardless of what transpires between the pages. The language wasn’t challenging and neither were the ideas or themes. In summary, it was a decent story told in an unremarkable way. Who should read this book: Young adults, especially teenagers who have an affinity for comics and superheroes. I imagine as a nerdy 16-year-old girl, I would have enjoyed it more than I did now. Synopsis: A collection of essays, short stories, and vignettes by North Carolina-native humorist David Sedaris. Topics range from littering issues in England, judging strangers with strangers at the airport, and brutally hysterical memories of childhood. Some fiction, some reality, plenty of laughs. Opinion: This book was recommended to me when I was looking for a lighter read. I’d heard a lot about Me Talk Pretty One Day and thought I’d give Let’s Explore Diabetes with Owls a chance, if for no other reason than to be able to repeat that title anytime someone asked me what I was reading. This book did not disappoint. I’m new to the humor genre, but whoever I read next most certainly has big shoes to fill. I was impressed by Sedaris’ ability to weave stories back to the beginning – to bring them full circle. You’d think you were going off on some wild tangent, but then somehow, before the end, you’d end up right back where you started – usually with a shift in perspective. Instead of reading it straight through, I would read a chapter whenever I was bored or needed a break from another book. The great thing about reading a collection of essays is you don’t have to remember what happened before, so I stretched this one out over several months. Although I didn’t laugh out loud as much as I anticipated, I did chuckle silently to myself quite often. Who should read this book: Sedaris fans, of course. Anyone who loves Deep Thoughts by Jack Handy or anyone who needs something light to read in short bursts, which may or may not result in snort-laughter, depending on your sense of humor and level of self-control. Publisher’s summary: Trying to make sense of the horrors of World War II, Death relates the story of Liesel – a young German girl whose book-stealing and story-telling talents help sustain her family and the Jewish man they are hiding, as well as their neighbors. 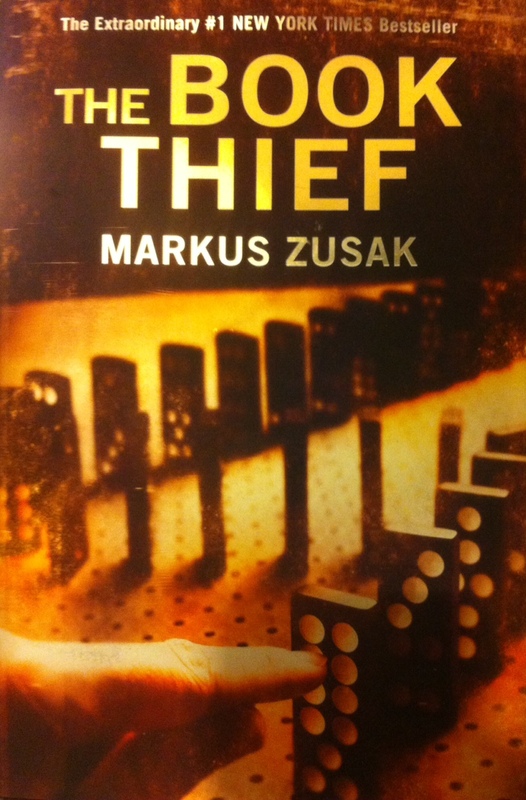 Synopsis: Narrated by Death, The Book Thief tells the story of a small town outside Munich during World War II. In that town, there are families who love Jews and families who fear Hitler, all trying – above all else – to simply survive. Most closely, the story follows Liesel Meminger as she is dropped off with foster parents by her Polish mother. Liesel’s love of books becomes a focal point of the novel as she begins stealing them from around the town, making plenty of friends – and enemies – along the way. Sometimes, I feel silly loving a young adult novel as much as I love The Book Thief, but then I remember how good it is and think, I don’t care. Every page of this book is dripping with tension, fear, and hope. You don’t just fall in love with one character, you fall in love with every character. And not because every character is perfect and lovable, but because every character is flawed and human and multi-faceted and so uniquely well-crafted. More than any book I’ve read before, The Book Thief helps you begin to understand the unbearable fear the entire country lived in during this time, the severe pressure to align with the Nazi cause, and the many consequences of not doing so. That the novel is narrated by Death only makes it all the more haunting. But Death is crafted as a compassionate, gentle collector of souls. I found the way that Death is portrayed to be so comforting, it shifted my entire perspective on dying. And his voice is quite unique, even poetic, making reading his words all the more enjoyable. From start to finish, this book is powerful, terrifying, and relentless. It will break your heart, but I promise, it will be worth it. Who should read this book: Anyone who loves a good book. Really, just anyone. This book is beautiful. Publisher’s summary: The story of a woman whose gift for flowers helps her change the lives of other even as she struggles to over come her own past. Synopsis: As a girl, Victoria’s childhood is spent in and out of foster care and group homes. At 18, she’s finally freed and begins a life on her own with a simple goal of surviving. Isolated and angry, Victoria uses the only skill she has – a keen knowledge of flowers – to get a job at a florist. The story follows Victoria through her past and her present, revealing why she is incapable of love and watching as she struggles to overcome the mistakes that haunt her. Opinion: The Language of Flowers is easy to read, captivating, and enjoyable. Despite her flaws, you’re rooting for Victoria with every turn of a page, hoping she’ll find the happiness that’s always evaded her. I read this book across two very sleepless nights and found it a welcome respite from a more challenging book I’m trudging through slowly (The Luminaries, if you’re curious). What makes this book unique is its use of the meaning of flowers throughout to communicate emotions, messages, and sometimes healing. 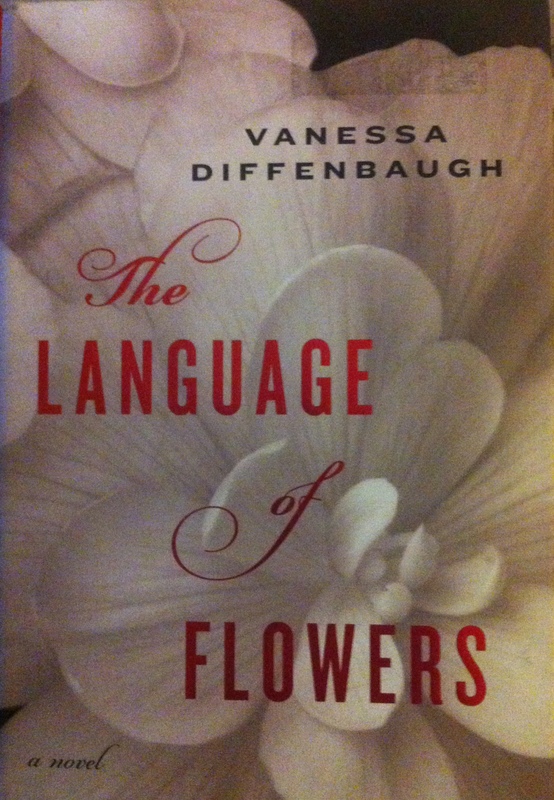 Diffenbaugh created her own Language of Flowers based on much research on classic flower dictionaries. As a lover of flowers myself – thanks, Dad – I enjoyed seeing the often-surprising meanings associated with some of my favorites (hydrangea, jonquils, dogwood, lily of the valley). And watching how the interpretation and misinterpretation of those meanings greatly altered the lives of the characters in this book. Although the language is not challenging and the writing not particularly beautiful or uniquely stylized, the plot is well drawn and Victoria’s feelings of desolation and turmoil are acutely expressed. As a reader, it is impossible not to sympathize with her. Who should read this book: Anyone who loves flowers. Those trying to overcome their past. Anyone who feels incapable of letting others in. Those who sabotage their own relationships. Anyone who grew up in foster care. Those who enjoy reading an author’s first novel. And anyone who cannot sleep and needs a break from a tough book.